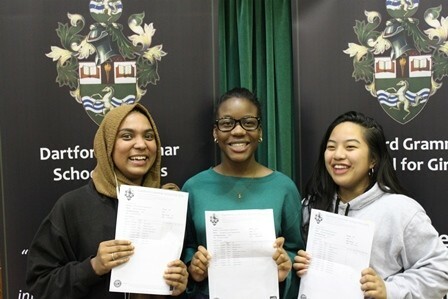 In a year when almost all GCSEs are now graded using the new 9-1 system, and with the increased challenge of the new courses, the school is delighted that 68% of grades are at 7-9 (A*/A) and a superb 45% of all grades are 8 or 9 (A*). We are extremely pleased with these results which now enable students to progress with the next stage of their education. We would like to congratulate all the students on their successes, which have been achieved through the students’ considerable hard work and the support and dedication of our staff. I would also like to thank parents/carers for their continuing support.